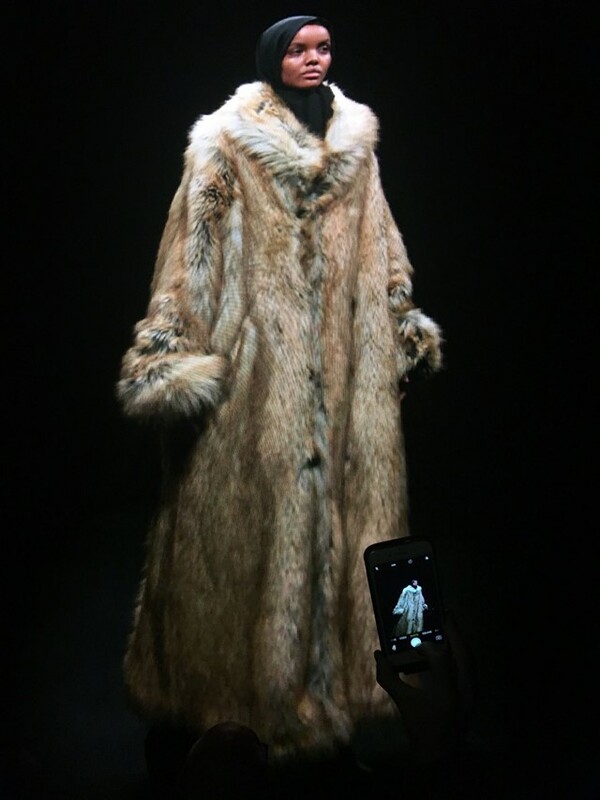 Another New York Fashion Week means – you guessed it – another Yeezy show. We’re now into Season 5 of the adidas-backed brand, with Kanye having taken his audience from the stark white Skylight Clarkson Square studios to Madison Square Garden and even Roosevelt Island (you know, the time models fainted due to the heat). Love them or loathe them, like the man himself his shows are always talking points and today’s event was no exception. Here’s what went down. Apparently not everyone gets this honour, but Kanye is fond of giving items of clothing as invites (see: last season’s Calabasas track pants, Season 1’s anorak, or Season 2’s camo long sleeve). For number 5, honoured guests were given jumpers emblazoned with one of two phrases: ‘Lost Hills’ and ‘Mulholland’. Sounds a bit David Lynch-y, right? While Mulholland Drive is one of LA’s more famous streets, Lost Hills is the name of a tiny town (population: 2400) on Route 46. The jumpers also came with an accompanying zine, shot by Jackie Nickerson and featuring Teyana Taylor and Luka Sabbat. The show was held in NY’s Pier 59 Studios, a well-known shoot location on the river in Chelsea. Obviously, Kim was there – in a head to toe purple Yeezy look, naturally, while other attendees included little sister-in-law Kylie, Carine Roitfeld and Teyana Taylor. As for the show itself, it kicked off with a video presentation of models – rotating 360 degrees like holograms in the dark. But just before the audience presumed that was all there was planned, a real catwalk show started – the first more straightforward runway West has done so far. The collection included more graphic typography, denim, shearling and another Calabasas pant colourway. Ok, they may say that three’s a trend but we’re going to call this one already. First came Balenciaga’s menswear take on the super chunky, nerdy, middle American dad sneaker, no doubt inspiring iterations everywhere already. Yeezy Season 5 debuted a similar (albeit all white) version, which more hype sources than us report is dubbed the Yeezy Runner – which might mean you can actually exercise in it? Don’t get caught up thinking Ye was copying Demna, though – thanks to the fact he’s one of the most photographed men on the planet, it seems he was actually first spotted in a colourful version of the shoes way back on Jan 6. No surprises that Luka Sabbat was one of the many models, as was Atlanta rapper Playboi Carti and Rich the Kid. But most notable of all was the fact that Halima Aden, the first Hijab-wearing model to be signed to super agency IMG, also made her runway debut in a giant fur coat. Say what you like about Ye, but his casting (this time by Evelien Joos) is always on point – and this was the kind of fashion moment that makes you realise how many barriers there are still to be broken down in the industry.